M.E.C.’s C80 Series high power coaxial terminations cover a frequency range from 2.0 to 18.0 GHz and have a VSWR of 1.20:1 or less. The design assures distributed heat transfer over the entire body length to avoid hot spots. For average power levels up to 500 W, model C80H is recommended. It has passive radiating fins and may be mounted in any orientation. Model C80F has an integral fan for forced-air cooling and dissipates up to 1 KW of power. Power levels above 1 KW are handled by liquid-cooled model C80W, which requires pumping a coolant at a flow rate of one gallon per minute per KW of power and 10º to 60ºC inlet temperature. 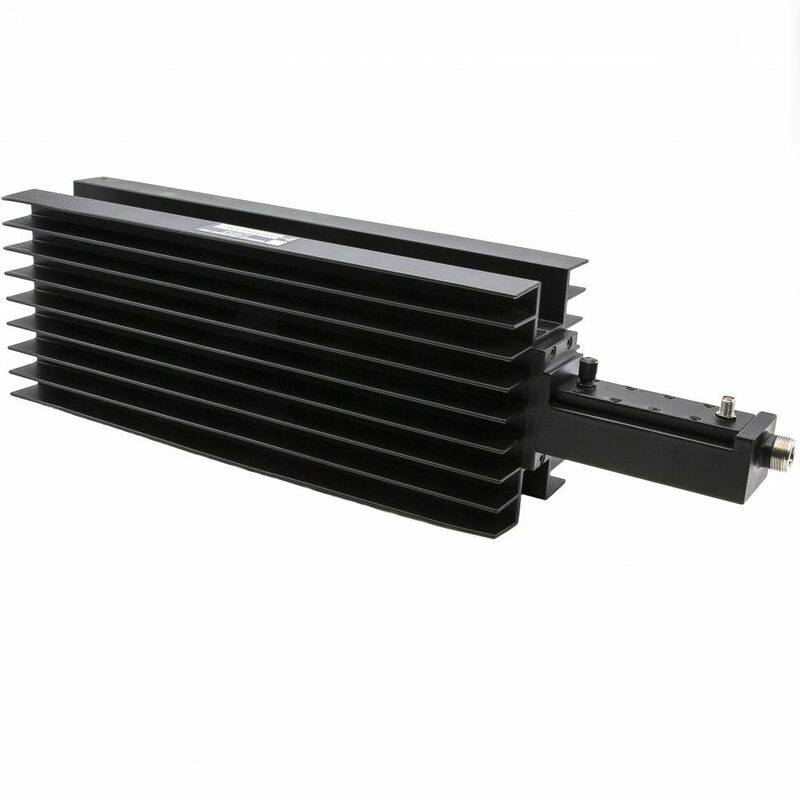 Pulse peak power for all models is 10 KW at sea level. Finish on all units is high-temperature black epoxy enamel. VSWR: 1.20:1 Max. / 1.15:1 Typ. 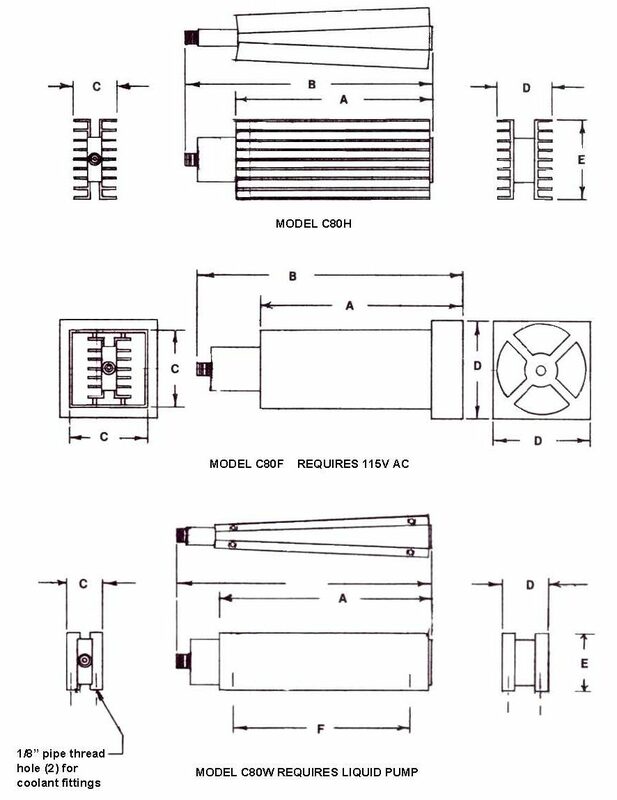 (2) Other connectors and frequency bands available upon request. EXAMPLE: C80F-SCM is a fan cooled 2.0 –8.0 GHz, 1 KW termination with an “SC” Male connector.